We are so excited to be co-hosting this brand new blog hop along with Oz the Terrier and Roxy the Traveling Dog. WOOF (Working Out Our Fears) Support is where reactive dogs and their owners can come together to share similar experiences. 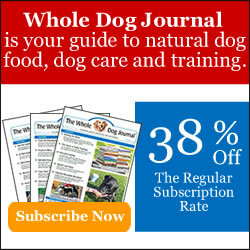 Are you a reactive and/or fearful dog or its owner? Then please join us and share your story. The Blog Hop is open through Sunday. Our beagle Cricket is our reactive dog. I wrote about two different episodes we had with her in my posts “Walk Your Dog Hop – Facing Challenges” (Nov 2013) and “Walking the Other Beagle” (March 2013). We live in a quiet area and we can often walk places and never see other people or dogs. Cricket loves to play fetch and that is her main form of exercise, and walks don’t happen as often. Her brother Kobi needed to be walked more, since that was all the exercise he got, and the two of them walk at different paces so it was difficult to walk them together. Cricket’s golden retriever sister is a power walker just like Cricket, so they are difficult to walk together also! So having to walk each separately means less frequent walks. The first time we ran into off leash dogs I was rather taken aback when Cricket went into defensive mode, barking, snarling, and carrying on. She is learning to at least stop and look at me when I call her. In part I blame others for having their dogs off leash in the first place, or at least not having them under control. But I still always feel guilty and embarrassed when she acts this way. I apologize to the other people. I blame myself for not walking and socializing her more. Worst of all, I am afraid that she could get into a serious fight with another dog, or that she might get loose. The last time it happened she wriggled right out of her harness and I was lucky that I was holding onto her so that she did not run away. I believe that some of this just stems from her naturally shy personality, as well as her bossiness and need to be in control. But the bottom line is that if I want to walk her and keep her safe then I need to stop making excuses and placing blame, and I need to try to change her behavior if I can. She has to be in the lead. She has to be in control of the game. Because of the bitter cold weather and a new puppy in the house, again we haven’t been walking a lot but I have come up with a plan of action for her. Cricket is intense when she walks, just as she is intense when she plays fetch. She is totally focused on whatever activity she is involved in. When we walk she is full steam ahead, and barely even stops to pee. What I need to do is to get her to relax a little and be able to focus on me instead. We have started with training sessions using the command “watch me”. She gets a treat if she makes eye contact with me when I say her name and then I say “watch me” when I have her attention. So far she is responding very well to this and learning quickly. I am watching you, Mom, because I know you have treats! Also, on the walks we do take, we stop every so often, I say her name and I call her to me. She gets praised and a treat (if I remember to bring them with me) if she pays attention to me and relaxes for a minute. The next step will be to add the “watch me” command when we are walking. We may just start in our driveway with her on the leash and progress from there. She is enjoying learning, as you can tell from the tail! That is where we are at right now, and I hope we are on the right track. I look forward to reading the posts from the other blog hop participants in the hopes of learning more about how I can possibly help her in other ways. Someday I hope to be able to take her for walks or hikes anywhere without worrying about who we might run into. If you have a reactive or fearful dog, please feel free to join our hop this time or in the future! It will be held the 2nd Thursday of every month. You don’t have to be a blogger to benefit from this; we also have a Facebook support page which anyone can ask to join. There we also share tips and stories to help and support each other. LOL…”who they ate”. Joanna, you are welcome…. I am so glad so many have joined up with this hop and everyone is learning things and supporting each other. I think you are right….patience, practice, and acceptance could very well be exactly what can get everyone through this. It sure sounds like you’ve got a great plan to get her to pay more attention to you on walks – and less on the environment and the strange dogs that might be in it. Wishing you good luck with Cricket. Thank you, Donna. It really does help to know we’re not alone, and it helps me to not blame myself as much too. Cricket can be so focused and so intense, I just hope I can get her to redirect that focus and intent on to me! Sounds like you are well on the right track. I wonder if some formal structured obedience classes would help. I know you have the puppy, so maybe if you had a handler on each dog (say you with Cricket and someone else with Luke), it would help her learn to deal with other dogs when she is on lead. Hubby and I did that with Thunder and Storm and it really helped Storm learn how to behave on lead with other dogs around. That is a great idea, something I hadn’t even thought of. We are planning on taking Luke to obedience classes so that just might work. Thank you! great post and sounds like you are on the right tract. patience and time and cricket will get better. I love the picture of her holding the ball with her teeth showing. Thank you! I think you are right, and we will keep working at it! Thanks for hosting this great blog hop! It sounds like you are doing everything right with Cricket. From what we’ve learned working with a trainer, making the “Watch me” command automatic BEFORE you put your dog in situations with triggers will only make it easier for him to ignore other dogs once that behavior is engrained. It’s like any other trick you teach your dog, before long it becomes automatic and they don’t even have time to think about it, they just sit or stay or watch you, etc. Thanks for stopping by our blog. Based on your advice we added an email subscription button. Thanks for pointing that out, we’re brand new to this! You’re welcome! Thanks for saying that about the command too. Since we’re not walking much right now, that will give us lots of time to get it ingrained in Cricket before we do venture out more (when our weather gets better). I just went and signed up for your email…thanks for adding it. I am happy to help. It took me a long time to figure everything out, and there are still things I haven’t yet! You seem like a pro blogger, and it looks like you’ve been at it for a while! I forgot to mention, another thing we’ve been doing in our class for reactive dogs is hand feeding. It’s supposed to make the “Watch me” command even more engrained since your dog will understand that all food comes directly from you. It’s added about ten minutes to our morning routine, and is actually a nice bonding experience. That is another good idea, something I never thought of, thank you for sharing it! Thank you for hosting this hop! I’m looking forward to reading through everyone’s posts! I am so, so, SO glad you mentioned your fear of him getting loose. I think that’s a thought that gets skimmed over a lot because many of us are hyper-focused on working on-leash. I am terrified of Lucas getting out/getting away because I’m terrified that he’d get into a fight and all the associated ramifications. I’m so glad you mentioned that because it’s an important point to keep in mind! Oh, I know, and my other fear is that they could run away scared and who knows where they might go if they are? I need to make sure Cricket’s harness is fitted better or think about getting a more secure one that she can’t wriggle out of too. OMD, I got totally distracted by…is that Luke? He’s gotten so big! I think you are handling Cricket the best way – it’s kind of a slow easy process I think to get them over this. Jack works best when I just distract him, so we practice “watch me’ a lot. Oh yes, can you believe it!? Luke is surpassing Cricket already! No wonder she has issues…lol….everyone always ends up getting bigger than her! I hope I can use Cricket’s love of treats to successfully distract her, and we may try something with her ball later on too, since that is her other big love. Keep learning Cricket! It always gets better! Wooooowoooooo! Thank you, Ku! We will keep at it until I am more comfortable! Great post! I will be linking up with you guys in the next couple days as I am co hosting a separate hop today. I think your definitely on the right track. My dogs will do the “look” (watch me) command in our house, but I haven’t got to the point where they will always do it while walking. Especially when another dog is in view. 2 of my huskies are not to bad, but Mika is one who get snarly if the dog barks at her first. Thank you! I’ll look forward to reading your post too. I have never had a dog that did this until Cricket, so it was very surprising when she did. At least you are making progress with the “watch me” command, I’m sure it takes a lot of practice to get it to work every time, and who knows, there may be sometimes when it just won’t work. As long as we keep trying. Sounds to me like you are on the right track. I think that type of command would be good for Torrey too. I think I will start working on that. Thanks. That might give you something to report on for next month too, and I’ll be interested to hear how Torrey does with it! Sounds like we are both working on the same commands, just using different words. I am finding that it is working but you have to train and retrain it every single day, every minute of every single day…it is constant because all it takes is for one big dog to get to close and every bit of training goes out the window. It can be so frustrating and I am TRYING really hard to not get frustrated because it is NOT Oz’s fault. I think next month’s hop, we should blog about our successes so far…no matter how small. It may be empowering. Thank you for co-hosting this hop with me and thank you for sharing your experience! Oh, thank you for that tip, to keep the training constant. Especially where we don’t walk all the time to practice it, or don’t always run into other dogs when we do walk. I think a big part of it is accepting that this is the way our dogs are, and then just working with them the best we can to try to keep it under control. I prefer to be left alone to do my own thing, but some dogs just have to try to pester me and that is when I can sometimes get a bit reactive. Mom knows that about me, so when dogs we don’t know approach, she keeps me on a shorter leash and lets my sisters mingle since they enjoy meeting new friends. That sounds like a great plan on your Mom’s part, Emma, and I’m glad she just lets you be you and the others do the greetings. Cricket and Brychwyn are a lot alike- and so are you and I! I am always so afraid that Brychwyn is going to get hurt when he reacts and it makes me FURIOUS that the person with the illegally off-leash dog is to blame!!! A man playing fetch with his dog in the street (yeah, in the CITY) actually laughed at me while I tried to get my crazed reactive corgi to keep walking by. There are not enough mean words in the dictionary… Anyways, it does sound like you are on the right track. Lately when I cannot keep Brychwyn’s attention on me I ask him to lay down (his favorite command) and stay. He still has a low growl and some hiccup like barks, but it calms him significantly. Thanks so much for hosting this hop! It is SO nice to know Brychwyn and I are not alone in this. Thank you, Bethany, it is nice for us to know that we are not alone too! You are making progress with Brychwyn and that is very encouraging. I just don’t understand people sometimes. I’ve had dogs that would behave off leash, but I still held onto them when approaching other dogs unless the other people said it was OK. Even then we were cautious. They don’t realize they’re putting their own dogs at risk too! I’m so glad you joined the hop! Thanks so much for hosting this blog hop. It sounds like you have a solid plan of action with Cricket. I completely relate to feeling frustrated with loose dogs who incite reactivity from our dogs. I think Isis’s leash reactivity traces back to our getting “jumped” on a trail by an off-leash dog. She wasn’t hurt, and the other owner was appropriately apologetic, but it was scary. I remember Isis seeming smiley and fine immediately afterward, while I was shaken and cried the rest of the walk home. Now we have Leo, who is much less reactive than Isis was, in general, but his barrier frustration is frightening! Mostly, I try to manage it by walking him places where he won’t see bicycles, skateboarders or joggers. I’m so glad you joined in the hop too. That is so familiar….when each episode was over with us, Cricket had forgotten all about it and moved on, and I was a mess. I think about it whenever we leave the house, but it probably doesn’t come to her mind until we see another dog. Sometimes avoidance is also a tool that we just have to use, to keep them safe.